The Permanent Secretary of the Federal Ministry of Health, Mr. Osarenoma Clement Uwaifo, has called on all officers and staff of the ministry to co-operate with its Anti-Corruption and Transparency Unit (ACTU) in order to eradicate corruption in the ministry. Mr. Uwaifo made the call during the inauguration and induction of members of the ministry’s ACTU recently. The PS noted that the ministry was mandated to implement policies that would promote effective, efficient, accessible and affordable delivery of health services and that it would be counter-productive if corruption was allowed to derail such objectives. Osarenoma further urged the members of the unit cultivate the virtues of transparency, probity and sincerity in the performance of their duties, noting that their duties of curbing corrupt activities in the ministry would not be limited to embezzlement, fraud, graft and bribery but should also be extended to lateness- to- work, indolence, loitering and absence from duty without permission. In his remarks, Mr. Justin Kuatsea, an Assistant Commissioner, who represented the ICPC at the event, said the Ministry of Health plays a vital role in formulating and implementing policies that are geared towards strengthening the nation’s health system and as such it has an important duty to organize and direct its staff towards understanding their duties and responsibilities to the management of human health. He entreated the management to give its full support to the Unit while advises the ACTU members not to use their office to exhibit high- handedness against other staff members. 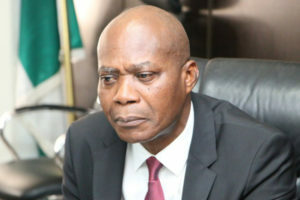 In his acceptance speech, the ACTU Chairman of the Ministry, Mr. Evans M. Udoekanem gave the assurance that his team would uphold the virtues of transparency, probity and sincerity in the discharge of their duties.